Read on for a Program Overview & How to Register Your Group! Pearson acknowledges the integral role of local technical user groups and their time-honored presence in helping both individual technologists and larger communities to develop and grow. In turn, we have been proud to offer an established program for more than a decade to support such community initiatives. Looking ahead, with your active participation, we aim to provide learning resources to help your groups evolve and adapt to fast-changing technology landscapes. 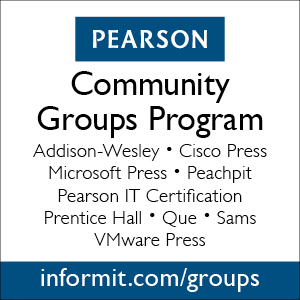 The Pearson Community Groups Program provides qualified groups with product news, members-only discounts, complimentary copies in exchange for reviews, and promotional giveaways. The program represents Pearson's professional and personal technology publishing brands including Addison-Wesley Professional, Cisco Press, IBM Press, Pearson IT Certification, Prentice Hall Professional, Microsoft Press, Que Publishing, Sams Publishing, and VMware Press. For photography and design professionals and enthusiasts, visit peachpit.com for more information. To apply, leaders of legitimate groups must first register to be considered. Once we verify your information, you will receive a Welcome Message detailing all the benefits for you and your members. 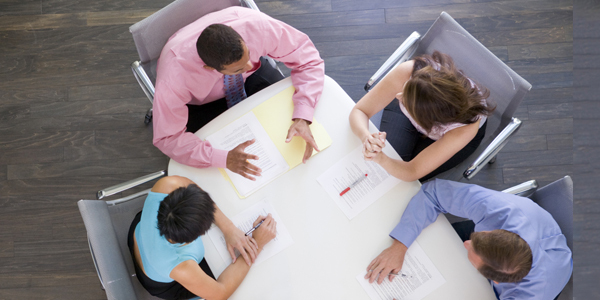 Leaders can use complimentary copies—for either print or digital products—to help boost meeting attendance through giveaways, assignments to committed reviewers, additions to group libraries, and/or we encourage your own creative ideas! We aim to enhance your face-to-face meetings with these giveaways, to nurture appreciation among your membership as well as to add an element of surprise! What Qualifies A Community Group? Community groups are typically volunteer, not-for-profit organizations, or special interest groups. Companies and academic programs are not included. To avoid duplicate registrations, we ask that group leaders apply on behalf of members. We request that group leaders relay product information and materials to all group members and/or let us know if you would permit our Community Relations team to communicate directly. Upon enrollment, your Welcome Message will contain more detail. Pearson has official logos that you can use to show your participation in our user group programs. These images can be used on your site, in your newsletters, or in group materials. Qualifiying groups will receive a link to download the official user group logo. Have a question or need clarification? For all inquiries please contact community@informit.com and include your user group name and relevant topic area. Please include the type of inquiry in the subject line, for example: Southern California Cisco Users GroupNetworkingEvent Question. Last but not least, find and connect with us in these @InformIT social channels: www.informit.com/community.